The Philips Series 9000 S9711/31 Wet & Dry shaver is a premium product that delivers the most pleasant shaving experience. The shaver comes with the most advanced technology to date and does exactly what it promises. At first glance, the Philips Series 9000 S9711/31 shaver looks very impressive with its chic black and chrome design. But is the visual appearance of the shaver matched by its performance? I tested the Philips Series 9000 shaver and this review looks at all the positive as well and negative features of the shaver in order to assist you in your purchasing decision. I am personally thrilled with the shaver as I have never felt my face as smooth after shaving as I did with the Philips S9711. 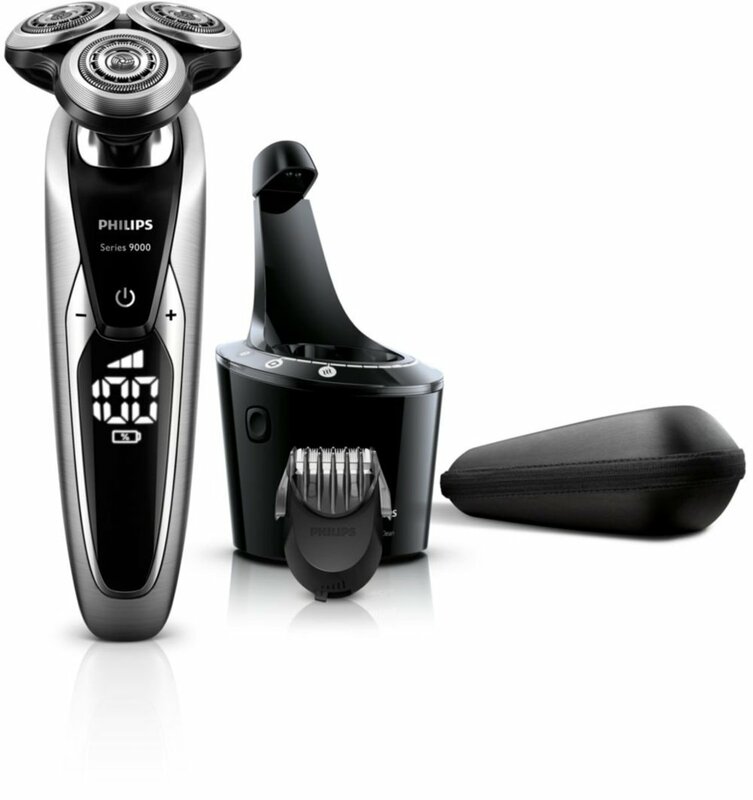 The Philips 9000 Series S9711/31 is not only a huge and powerful electric shaver from Philips that inspires with its sophisticated technology and a unique flexible shaving system. It also comes with numerous comfort features as well practical tools that makes it a genuine all-rounder in a class of its own. Featuring a powerful Lithium-ion battery, the shaver can operate for an average of 17 shaves on full charge which corresponds to a duration of 50 minutes. The shaver can be conveniently recharged so that after a maximum of one hour charging time, it can be fully operational again. When required, the practical quick charge can be used so as to avoid the embarrassing situation where the charger loses power in the middle of your morning shave. The unique Philips Series 9000 shaving system comes with V-Track precision blades which uses an advanced technology to detect contours thus creating an easy and efficient shave. Other features include the innovative Super Lift and Cut Technology and the Aqua weather and Dry technology. The device also boasts of a variety of individual comfort settings that allow the user to perfectly adjust power and the type of shaving for their own individual needs. What Makes the Philips 9000 Series S9711 / 31 So Special? 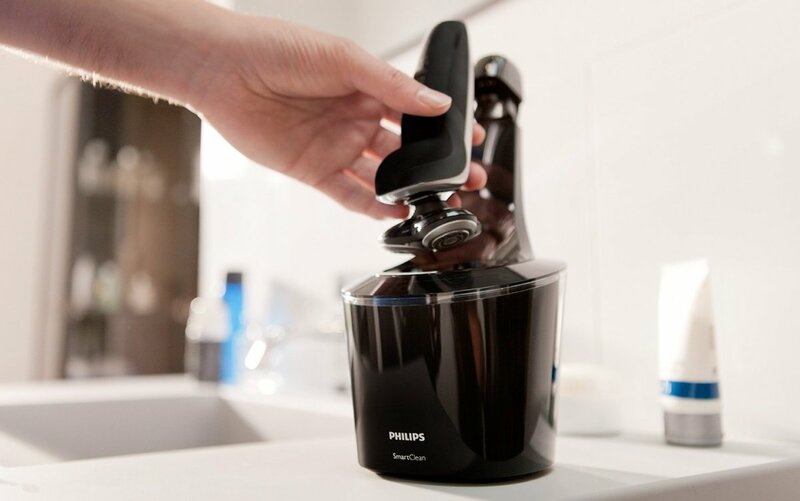 First of all, it is the unique contours detection technology that makes the S9711/31 electric shaver from Philips the most advanced shaver to date. The ability to fit every contour of your face ensures a smooth and even shave every time. The V-Track system ensures the thoroughness of the shave by placing the hairs in an optimal cutting position. Compared to its predecessor the powerful SensoTouch shaver, up to 205 more hairs are detected in just one pass which means both time and cost savings. In addition, thanks to its precise and sharp blades, the Series 9000 achieves up to 30% closeness to the skin. This results in a long lasting smoothness and even feeling on the skin. Another positive point of the Series 9000 is that both short and long hair removal is thoroughly and effectively accomplished. The Philips Series 9000 not only scores points in terms of performance but also on the question of comfort. The display of clear information including the battery level, cleaning and the option to replace the shaving heads allow for a smooth and easy operation of the shaver. The ultimate convenience comes with the innovative Smart Clean Pro technology. By simply pressing a button, the Series 9000 automatically cleans, lubricates, dries and charges. By the following day the shaver is fully functional again and ensures a hygienic and efficient shave. In addition, the numerous personal comfort setting ensure that the daily shaving can be optimally adapted to the personal needs of the skin. In this case, you have three different modes available so that you can choose between a gentle, normal or fast shave. In all cases, the shaving is done thoroughly and each is particularly suitable for sensitive skin. The fast mode is especially useful during busy mornings when you cannot perform an extensive shave – it is all about efficiency. The only obvious negative aspect of the device that is worth mentioning is its very high purchase price. V-Track precision blades: the most advanced shaving system now cuts in more detail as it adapts perfectly to the skin. Technology for contour detection: to follow the contours of the face while providing maximum clarity for optimum adaptation to all parts of the face. SmartClean PRO -With just one touch cleans, lubricates, dries and charges the shaver. It also displays the progress of the cleaning cycle. The shaver is ergonomically designed and fits easily in the hand given its light weight of just 170 grams. 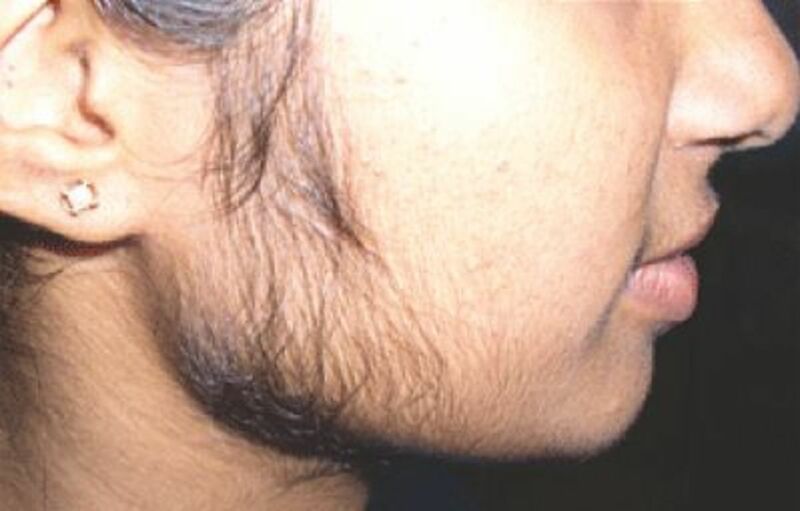 It shaved the neck hair at the neckline thoroughly – something that has been hard to achieve with other shavers. The Philips S9711 shaver operates extremely quietly, a lot quieter than all the shavers I have tested so far. It has three speed settings for individually adjusting the three-head shaving system which is intricately designed and works very precisely. Shaving is done using circling movements, something one needs to get used to if they have not used any three-head Philips shaver before. The shaving result is very good given the fact that the shaving heads move in eight different directions. Travel bag for the razor. This shaver has many plus points including the design, handling, shaving quality and weight. The negative point about the shaver is the price and operating expenses due to the regular exchange of cartridges. The Philips S9711 / 31 Shavers Series 9000 Electric Wet & Dry shaver has a very easy to read display that show the percentage of remaining battery charge. You can easily see at first glance how much “juice” is still left and for how long you can shave with it. It recharges in about one hour then the shaver is ready for use. 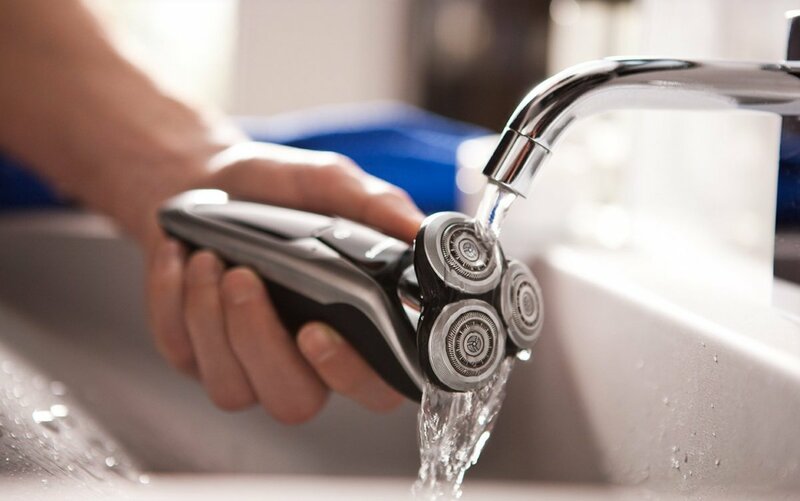 When the indicator shows that the shaver should be cleaned, simply rinse the three shaving heads under warm running water and allow to dry thoroughly. The instruction manual describes several ways of cleaning the shaver. One way is just washing the shaver under warm running water as mentioned above. The small hairs that are stuck in between the shaver teeth come off easily under running water. Philips recommends that you oil the shaver with sewing machine oil every six months. That is really all the maintenance that you need to do on the shaver. The second way to clean the shaver is what is described as thorough cleaning in the manual. It involves disassembling the shaver into its component parts which are then washed under water. This looks like a lot of work and I would only do it after a long time – probably once every six months. Obviously, the most convenient way to clean the Philips S9711 is by using the SmartClean PRO system which is my favourite. The great thing about this system is that the shaver is oiled in the process and you do not have to worry about doing it yourself. The SmartClean PRO cleaning station also acts as charging station when the battery is empty. With just one touch, the SmartClean PRO cleans, lubricates, dries and charges the shaver. However, I feel that the recommended drying time of four hours is too long. A cleaning cartridge is included in the package and can be used quickly and easily. Thanks to the Wet & Dry Aquatec seal, the shaver can be used for both a gentle dry shave as well as a refreshing wet shave. The SmartClean PRO Cleaning station can also be used as a charging station. To insert the cartridge, you press on the side locking buttons which results in the housing moving upward. Following the successful insertion of the cartridge, the housing is pressed back down. The power supply can be connected directly to the leaning station. If you want to charge the shaver, you put it down headfirst into the station and snap the connector to lock it in place. Charging and cleaning take place at the same time and the status is displayed directly on the screen of the SmartClean cleaning station. This shaver impresses with its brilliant shave and I would highly recommend it to anyone. As a luxury razor that does what it promises, I am not sure that it is affordable for the average consumer due to its top of the range price. Whether you want to spend so much money on a shaver is a decision you will have to make on your own. Otherwise the shaving experience and quality is the best one can get. 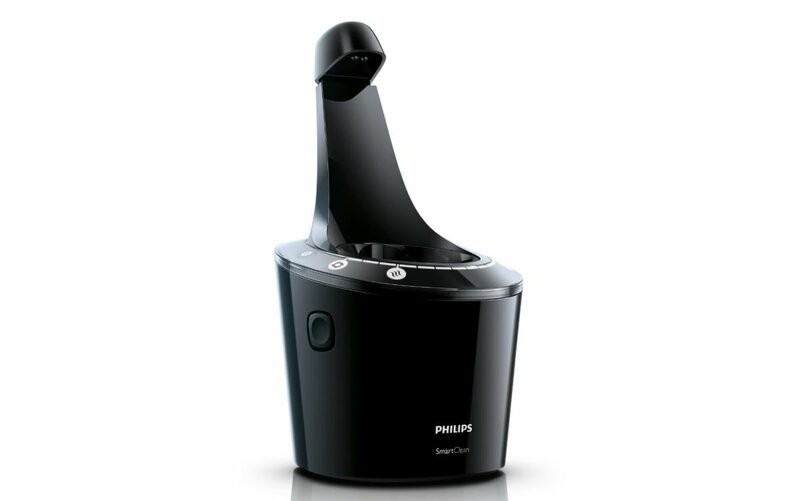 The Philips Series 9000 S9711 Shaver does have its positive points as well as some negative ones. I like the total cleaning system that not only cleans, but dries, charges and performs general maintenance such as oiling. It give a clean and close shave while giving you the option of a dry or wet shave. I also like the fact that it must be one of the most silent shavers I have ever used in a long time. On the negative point, the price might be just too high for some people. Removing and replacing the razors can be a kind of chore. The drying time of 4 hours means it is only practicable to do the cleaning at night so that the device can be ready by morning.